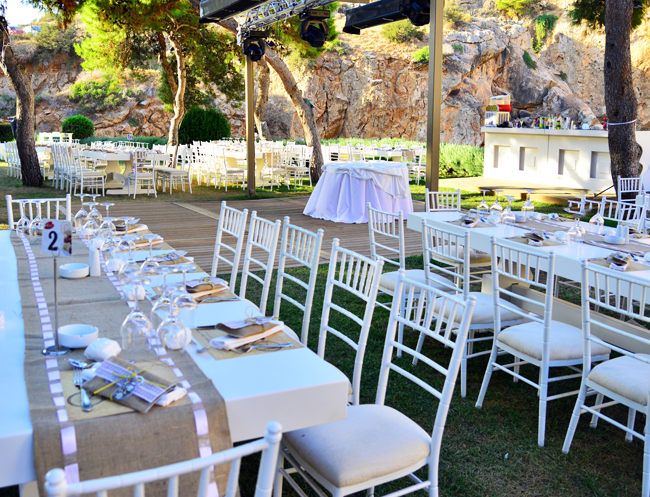 The pride of our chair collection is the white Chiavari – simple, pretty and adaptable to any style or theme of wedding or event, the form and function of these chairs makes them the definitive event seating element to complement any wedding decor and venue. Chiavari chairs were the choice of former first lady and style icon Jackie Kennedy for her 900-guest wedding to JFK in the 1950s, making them a timeless and utterly iconic wedding accessory. Made with the highest quality materials and craftsmanship and finished to an impeccable standard, each of our chairs is lovingly cared for by us to ensure perfect appearance and performance. We offer these beautiful pieces of furniture as the perfect statement element for your wedding or event. Whether presented in its most simple and elegant form or tastefully embellished with decorative elements such as hearts, bows, flowers or even lemons or olive leaves for a truly Italian touch, the Chiavari is the perfect seating choice. 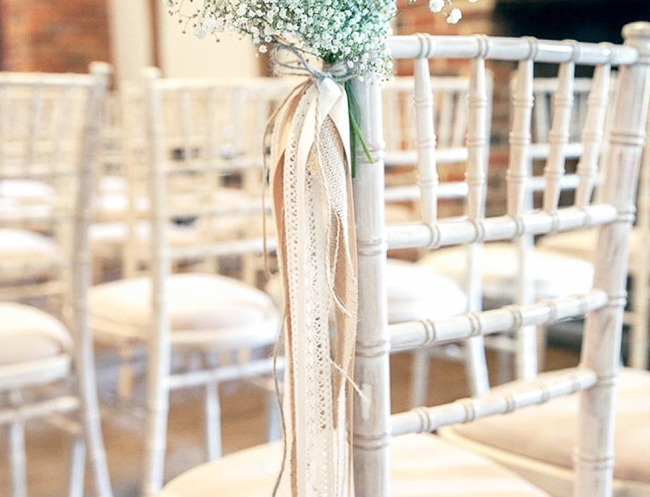 Our classic Chiavari chair has a stylish white finish which adds a touch of simple, but not overwhelming, elegance and impact to any event. We recommend accompanying your Chiavari with a simple white cushion but we can offer coloured cushions, to match a particular wedding theme, on request. • Charming wooden picnic-style chairs in a variety of shades, including white and natural. 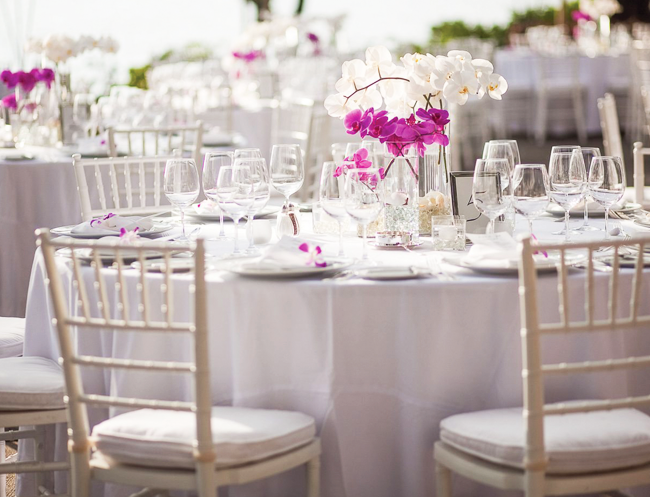 On your special day, our team will be on site well in advance to arrange and organise your chairs, liaising with you and/or your venue/wedding organiser to ensure a perfectly set-up scene. After the event, our team will work quickly and quietly to disassemble.